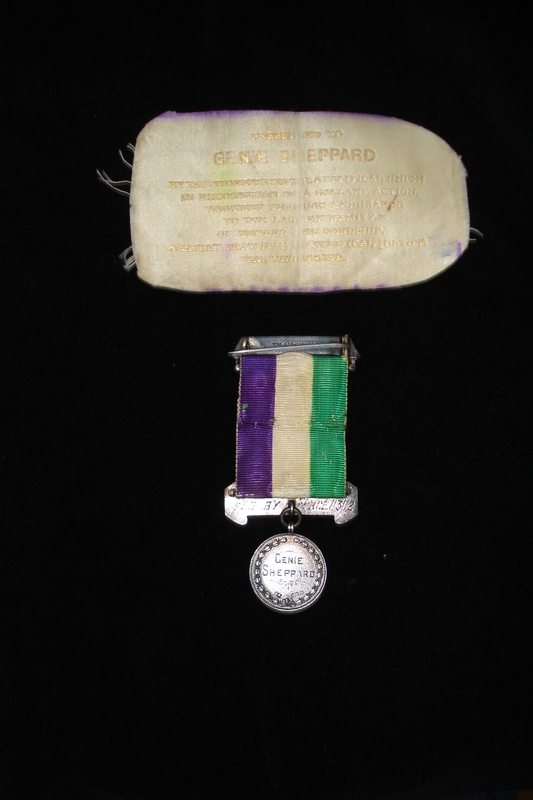 One of the most iconic items to add to a suffrage collection is a WSPU hunger-strike medal. These medals were first presented by the WSPU at a ceremony in early August 1909, given to women who had gone on hunger strike while serving a prison sentence handed down as punishment for an act of suffrage militancy. 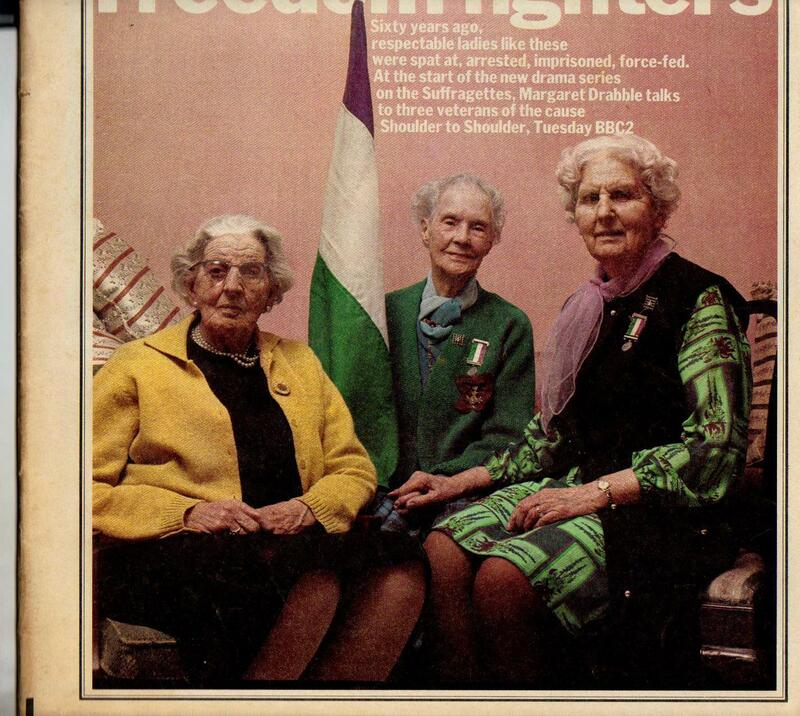 The medals comprise a silver pin bar engraved ‘For Valour’, a hanging length of ribbon in the purple, white and green colours, and either a silver or a striped enamel bar, from which hangs a silver circle with the name of the presentee on one side and ‘Hunger striker’ on the other. If the ribbon terminates in a silver bar, this is engraved with a date denoting the day of the owner’s arrest. The enamelled purple, white and green bars are engraved on the reverse, for example sculptor Edith Downing’s medal that I once sold is engraved with ‘Fed by Force 1/3/12’. This was the date of her imprisonment that resulted in a hunger strike and forcible feeding. 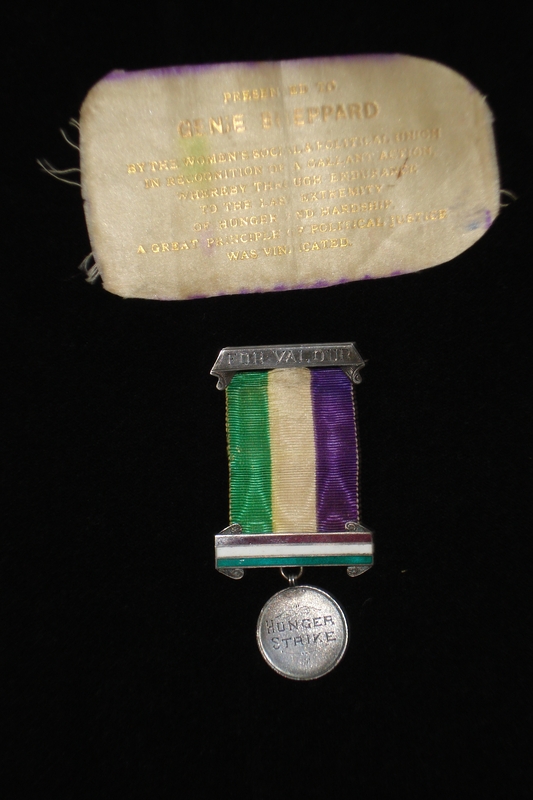 Some medals, such as the one Emily Wilding Davison is wearing in my 6 August ‘Suffrage Stories’ post, carry more than one bar, indicating multiple hungerstrikes. Each medal was presented in a purple box, with a green velvet lining. As can be seen in the photograph, a piece of white silk that originally went inside the lid was printed in gold with: ‘Presented to [name] by the Women’s Social and Political Union in recognition of a gallant action, whereby through endurance to the last extremity of hunger and hardship a great principle of political justice was vindicated’. These medals were made by Toye, a well-known Clerkenwell firm, and cost the WSPU £1 each – the medals now sell for thousands of pounds. They were treasured by their recipients who , in their old age, still proudly wore them on suffrage occasions; they are treasured today by collectors who recognise the bravery of the women to whom they were awarded. This entry was posted on August 11, 2012, 12:02 pm and is filed under Collecting Suffrage. You can follow any responses to this entry through RSS 2.0. You can leave a response, or trackback from your own site.